Special discounts are available for museums and educational institutions. Please contact the artist directly via the CONTACT page. 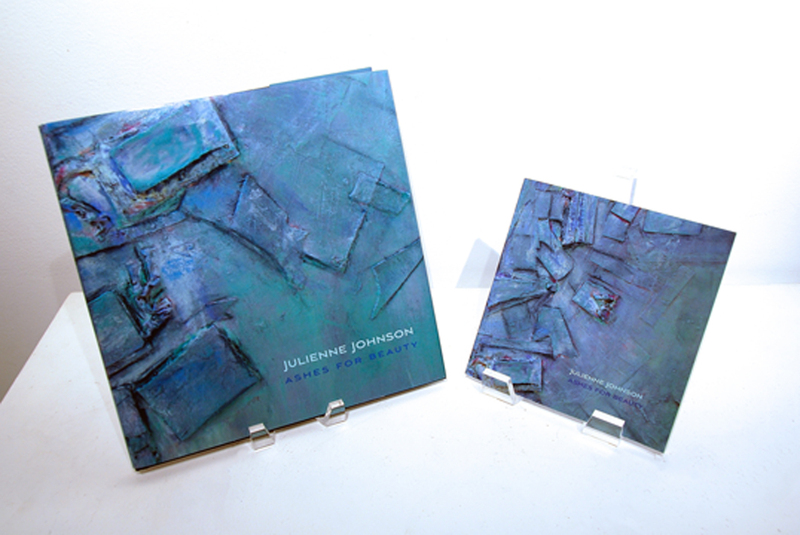 "Julienne Johnson has spent much of the last decade exploring her potential as an artist and exploring art's potential for mindful expression. She seeks to make sense of an alienating world by finding the coherent in the inchoate and the ecstatic in the rational." 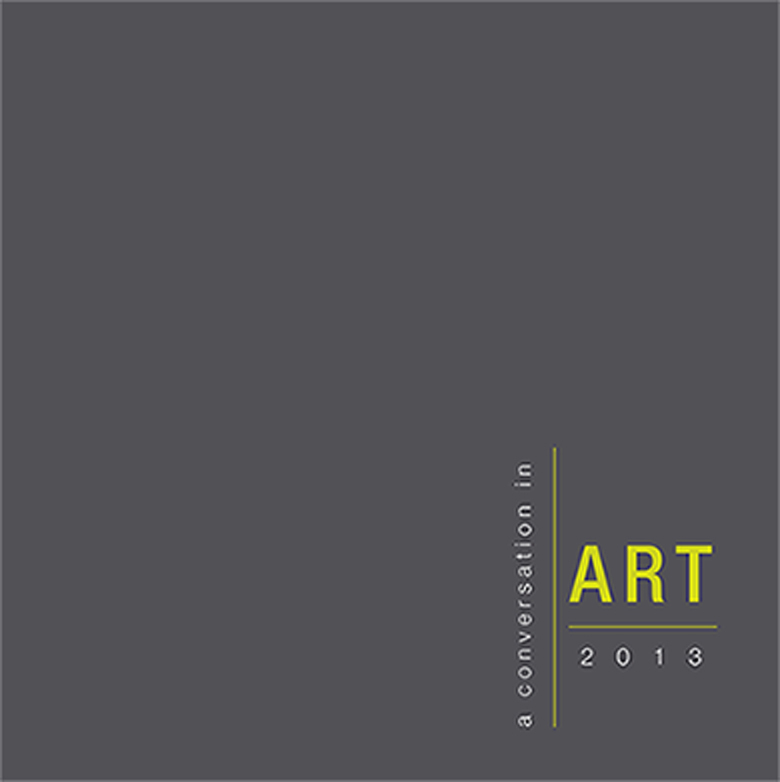 documents 18 artworks from 2 collections and 3 series of artworks, completed by Johnson between 2008 and 2014 that were curated by Peter Frank for the Taylor University, Upland, Indiana exhibition that took place at the Metcalf Gallery on Oct. 14 – Nov. 4, 2014. The book includes a photograph of Johnson at work on the "TOUCHED" series in her NoHo Studio, along with a full schedule of the events that took place opening week, including talks and a lecture by Johnson and Frank as well as his poetry reading, additional lectures and critiques by Frank. Suzanne Dittenber holds a BFA from Columbus College of Art and Design and an MFA in Painting from the University of New Hampshire. She is currently an Assistant Professor of Drawing, Painting and Printmaking at Taylor University in Upland, Indiana. During the summers, she makes her way back to the East coast to the seaside town of Kittery, Maine to paint landscape architect Jackie Nooney's beautifully cultivated gardens on nearby Badger's Island. Fabrik Magazine and former Adjunct Senior Curator at the Riverside Art Museum. TOUCHED (2013) documents a series of 10 artworks created from December 2012 through August 2013, as part of, and culminating the T O U C H M E T O U C H Y O U collection which began in January of 2012. Peter Frank is art critic for the Huffington Post, Associate Editor for Fabrik Magazine, and former Adjunct Senior Curator at the Riverside Art Museum. He is also former art critic for Angeleno Magazine, the LA Weekly, and the Village Voice, and has served as editor of Visions Art Quarterly and THEmagazine LA. Frank has curated exhibitions for the Guggenheim Museum, documenta, the Biennale di Venezia, and numerous other institutions and galleries. He has published numerous books and catalogues. and was the subject of two solo exhibitions of the same name: 2010 and 2011 respectively. Copyright 2016 Julienne Johnson. All Rights Reserved.